“Who’s ready for an awesome game? !” shouts a Rainbow Day Camp counselor named Kris. 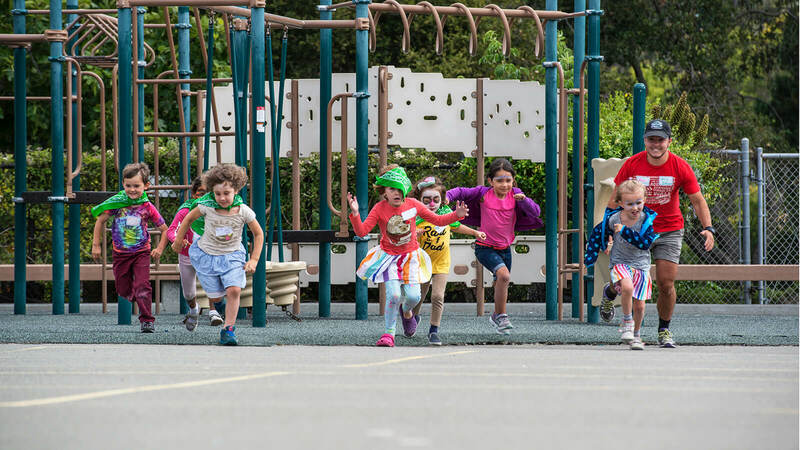 A gaggle of eager hands shoot into the air as a chorus of small voices yell, “Meeeeeee!” And a few minutes later the face-painted group of five-year-olds is racing across the playground, elbows pumping, legs churning, hair flying. It looks like a typical scene from one of thousands of summer day camps across the country. And in most ways, it is. 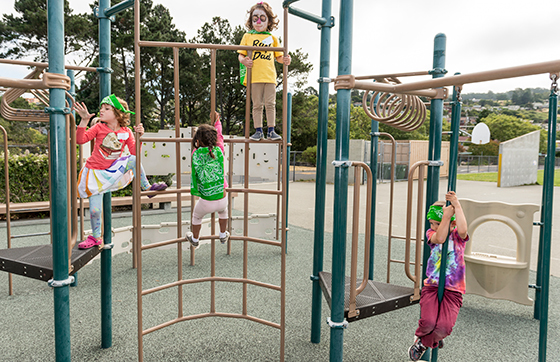 Like all kids everywhere, the kids at Rainbow just want to play. 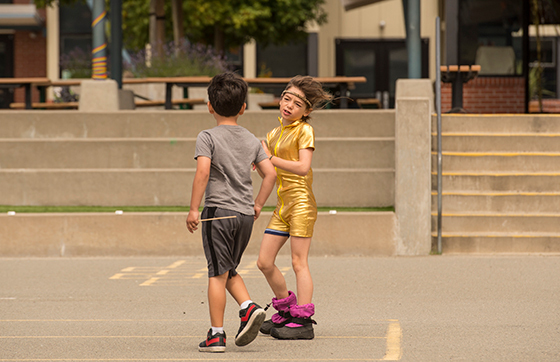 But when you’re transgender, gender expressive, or gender non-binary, as these kids are, the simple joy of playing your heart out can be overshadowed by fear—fear that you won’t be able to be yourself, that other kids will make fun of you or bully you or out you. 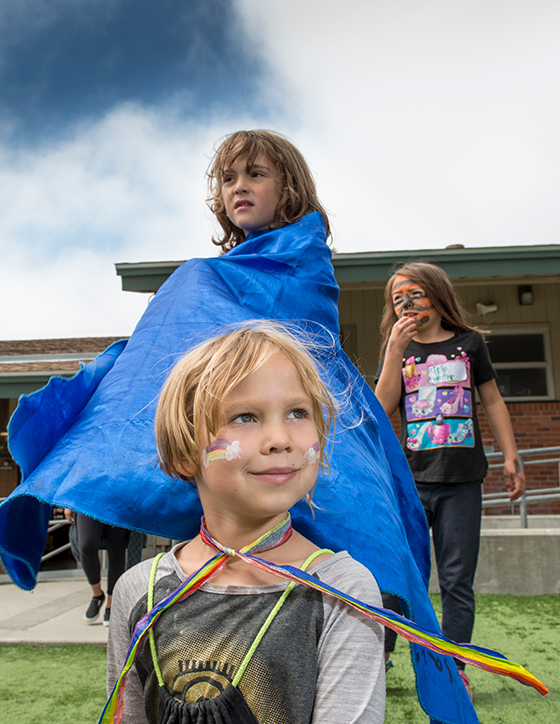 Rainbow Day Camp in El Cerrito, CA, is a safe space for transgender and gender creative kids. At Rainbow, they can completely be themselves. They can wear whatever they want. They can be called by whatever name and pronoun they prefer. They can just be. “Summer camp should be a magical experience. 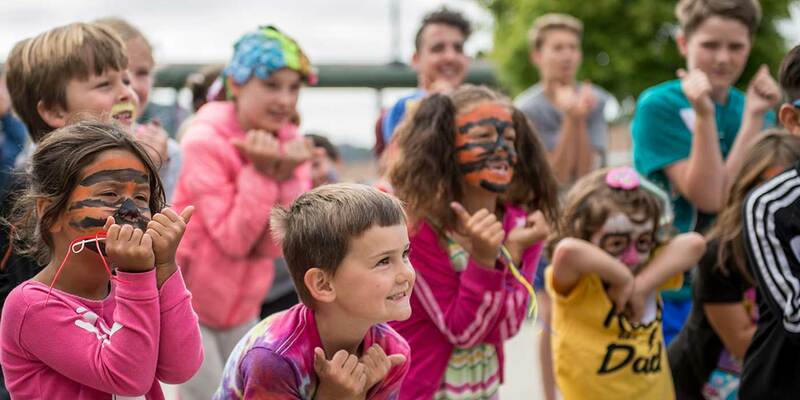 It’s not quite family, not quite school—just a place where you’re able to have fun and be free,” says Sandra Collins, who founded the camp in the summer of 2014. Sandra was inspired to start Rainbow by her youngest child, Scarlett, who at age 2 refused Christmas gifts of legos and boy clothes that were “poo-poo colored.” Identified male at birth, Scarlett was clear from a very young age that she was meant to be a girl. She knew who she was. When Scarlett was five, she had a bad experience at summer camp—a friend outed her as an anatomical boy. Although initially devastated by the betrayal, Scarlett was “incredibly resilient,” Sandra recalls, and by the end of the day had decided to forgive her friend and return to camp. That’s where Rainbow comes in. This summer, 45 kids ages 4-11 have found a safe space to play—and a community of people who look like them. Camp Director AK Kramer is one of those possibility models. They have been with Rainbow since the beginning, and they say all the counselors do everything they can not just to help kids feel safe, but to help them feel seen and heard. “My favorite thing about Rainbow is just a feeling, really. Anything could be happening, we could be playing a game or reading a story or taking a nature walk, but it’s the essence about this space that feels empowering,” AK explains. One of those self-aware children is Henry, a petite almost-8-year-old in a glittering gold minions tee with rainbows painted on both cheeks. Henry adjusts his outfit, moving a rainbow ribbon from his neck to his waist while imagining what he’ll look like when he’s a girl. 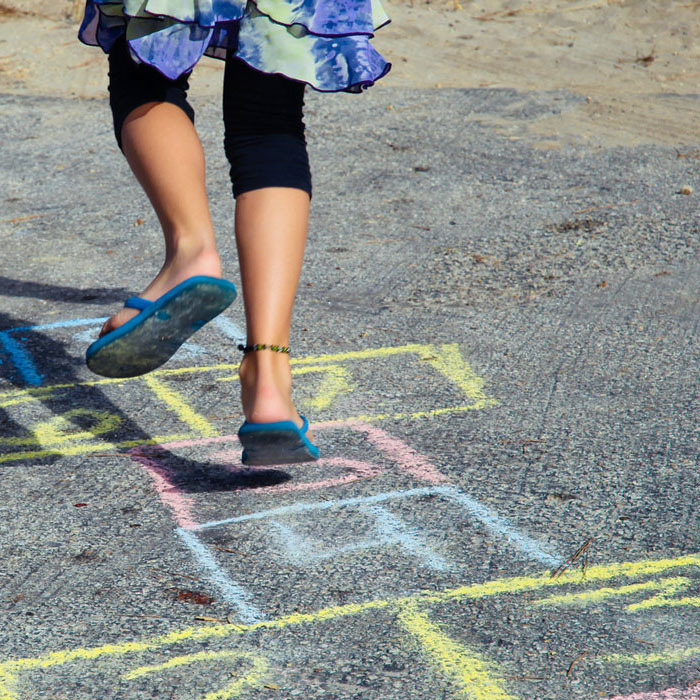 Across the playground, Kris the camp counselor is being chased by a herd of five-year-olds in a game of Big Bad Wolf. It’s superhero week at camp, and all the kids have decided on their super powers: Laser fire! Ice power! Telekinesis! The kids fire imaginary powers from their fingers as they surround Kris and climb him like a tree, giggling all the way. In a room just a few yards away, the 8- and 9-year olds are surrounded by piles of fabric and tulle and tinsel. They’re busily crafting costumes, which they’ll model at the end of the week in a camp fashion show. A camper named Noah (Neo to their friends) interrupts to say that today is actually wacky hair day, pointing to their own wild pink locks as an example. That freedom and confidence and pride are exactly why Rainbow exists.